An evening of spine-tingling chills and laughter featuring four plays that celebrate women in horror. With musical performances by Debs & Errol and Kari Maaren. Terror has never been this hilarious! 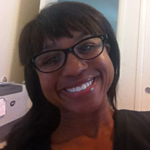 Diana Woody (Playwright) is a playwright/physicist/actor. She has written several plays and screenplays, one of which was a 2012 Silver Lei Winner at the Honolulu Film Awards. She has had readings of her plays in Los Angeles and New York City. 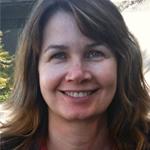 Diana is a member of the Alliance of Los Angeles Playwrights, The Dramatist Guild, and The American Physical Society. She is a native of the east coast, hailing from Silver Spring Maryland. 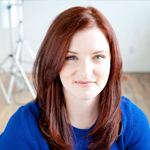 Kelsey Goldberg (Director) is a Toronto based actor, writer, and director. 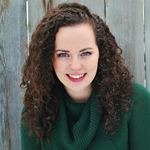 She is currently finishing up the Conservatory program at Second City (catch her grad show on June 14 at the MainStage). Previous directing credits include The Russian Play (Theatre Erindale Fringe), Twelfth Night or Whatever (Snobbish Theatre) and the musical web-series NaNoWriMo The Musical (WeTangent). Her first short film, Gingerbread House (writer, actor, co-director), will be screening in Toronto this summer. You can follow her on Twitter @KelseyFGold. 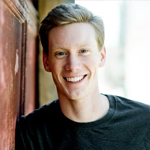 Tim Nussey (Ryan) is a co-founder and company member of Monkeyman Productions. He received his training at The Ryerson Theatre School, where he met Marty Chodorek, and thus the path to monkey mayhem was paved. 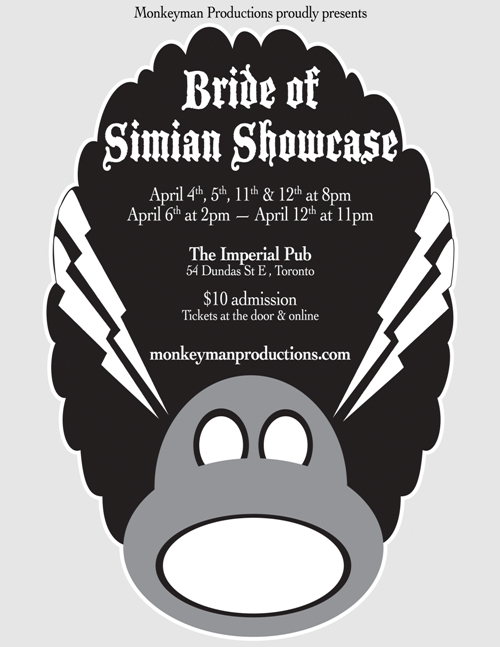 Tim is very proud of what Monkeyman has accomplished in its first five years, and is frakkin’ stoked to be participating in The Simian Showcase again. He would like to thank Monkeyman, as well as all of the awesomesauce actors and directors he has worked with for The Bride of Simian Showcase, and can’t wait for audiences to see what we have cooked up for them! Victoria Urquhart (Darcy) wears many hats: she performs, she directs, she produces, she sometimes writes…She loves to do everything. Raised in Caledon and trained at the University of Windsor, she now resides in Toronto, exploring every facet of performance and storytelling that she can. Her love of MM started with an impassioned cover letter back in 2011 that read something along the lines of “OHMYGODGEEK+THEATRE=MYLIFEYOUGUYSARESOAWESOME”. The lesson to be learned from this: It is in fact good to be a fangirl sometimes. Select theatre credits include: Shakespearean Wedding (Stilt Guys), Teach Me (Newborn Theatre) and the Shakespeare-In-Hospitals 2013 Program (Spur-Of-The-Moment Shakespeare Collective), . Select Film credits include Boomerang (Stratasfear Productions), the Out Of Time webseries (Flyin’ Monkey Films), and Full Ammo (A Slice of Fried Gold Productions). Huge thanks to the MonkeyMan family, and Francois Vandette. Check out the SOTMSC’s Sonnet adventures on our Youtube Channel “TheShakespur”! 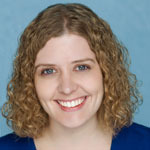 Manda Whitney (Playwright) is a Toronto-based actor/writer and is one half of the comedy duo weTangent. She is thrilled to be working with Monkeyman Productions where she can combine her love of all things geek with her love of theatre. Her recent writing credits include the webseries NaNoMusical (weTangent) and Headshots and Healing Potions (Monkeyman Productions) and Whitless Letters (weTangent). When she isn’t writing or acting, she can usually be found playing video games, reading comics, and making nerdy Youtube videos. She would like to thank her friends and family for the constant support in her crazy adventures so far. Although his parents claim otherwise, Luke LaRocque (Director) is pretty sure he’s named after a certain famous Skywalker, and he’s looking forward to seeing how Disney plans to atone for Jar Jar Binks, sometime in 2015, in galaxy far, far away. A Toronto-based theatre creator, Luke is thrilled to be back with Monkeyman after last year’s romp through Yonge-Dundas Square directing Super. 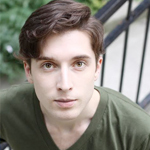 Recent theatre credits include Honest Aesop’s Fables (Tarradiddle Productions – a sell-out at the 2013 Toronto Fringe, being remounted this summer), Prayers for the New World (Glasswater Theatre) and Robin Hood: The Legendary Musical Comedy (Hart House Theatre). He is the Artistic Producer of Glasswater Theatre (www.glasswater.ca) and the proud papa of the cutest girl he knows. As a proud supporter of Monsters Inc. and Ghost Busters, Erin Eldershaw (Jenny) is very excited to be part of The Simian Showcase this year. Previously working with Monkeyman on ‘The Nefarious Bed & Breakfast’ playing a spy, now Erin gets to be a teenage ghost and a monster-hater child, and can’t think of a better way to spend her evenings. Past credits include: Roderigo in Othello (GoPlayProducing), Kathy in The Nefarious Bed & Breakfast (Monkeyman Productions), Donna in A Midsummer Night’s Dream (Shakey-Shake and Friends), and Wendla in Spring Awakening (George Brown College). Look out for her next show, Of Shapes Tranformed by Love from Aim For The Tangent Theatre coming this May. Also, if you see a little girl in pigtails walking around the Imperial with a beer – it’s okay – she’s of age. Please don’t alarm the Mayor. 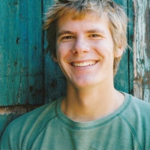 Tim Nussey (Jason) is a co-founder and company member of Monkeyman Productions. He received his training at The Ryerson Theatre School, where he met Marty Chodorek, and thus the path to monkey mayhem was paved. Tim is very proud of what Monkeyman has accomplished in its first five years, and is frakkin’ stoked to be participating in The Simian Showcase again. He would like to thank Monkeyman, as well as all of the awesomesauce actors and directors he has worked with for The Bride of Simian Showcase, and can’t wait for audiences to see what we have cooked up for them! 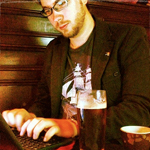 Rory Leahy (Playwright) is the founder and Artistic Director of the American Demigods theatre company. He’s been an actor and playwright in Chicago for several years and is the author of such works as The Irrelevant Adventures of Jarvis McFadden and The Factory That Makes Devils. 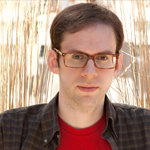 He has recently ventured into screenwriting in collaboration with director David Holcombe, with the short film Death of a Cybersalesman, and the feature film Yellow. Two of his short plays are scheduled for publication in major anthologies in 2014. His plays have previously been performed in Chicago, Champaign-Urbana IL, St. Louis MO, Miami FL, Orlando, FL, Toronto, Canada (upcoming) and New York City. You can see him starring March 28th in Bat-Hamlet with Corn Productions. If he could do it all over again, he would but he’d also pick up a business degree or something on the side. Daisy MacLean (Director) is a multi-award winning film director who has joined the Simian Showcase this year because she likes their moxy (also they promised her that she could be pretentious and say things like, ‘The Theat-aah!”). A member of both the Directors Guild of Canada and the CCE, we will not overwhelm you with almost twenty years worth of creative credits but if you are curious you can visit DaisyMacLean.com. This is Daisy’s first return to directing for the stage in over fifteen years. When she’s not directing, writing or editing for film and television Daisy likes to hunt dragons. 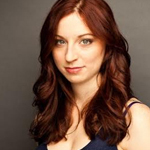 Sarah Beaudin (Mayor) is an Actor/Writer from Alberta who has trained in both Vancouver and New York. She was last on stage playing Hunter in Neil Gaiman’s “Neverwhere” (Calgary). She can be seen as Sharon Tate in television series “Paranormal Witness” and as Abby in the independent horror film “The One That Got Away”. She has worked with artists on various installation and print projects, most notable being Renova World House, showcased at Nuit Blanche last year. 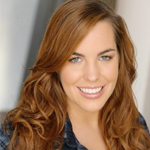 She is currently writing a sitcom, and also works with a group of producers editing feature screenplays. In order to stay sane she rock climbs, paints, and has recently discovered surfing. She also has a silly looking dog who she loves going on adventures with. As a proud supporter of Monsters Inc. and Ghost Busters, Erin Eldershaw (Lauren) is very excited to be part of The Simian Showcase this year. Previously working with Monkeyman on ‘The Nefarious Bed & Breakfast’ playing a spy, now Erin gets to be a teenage ghost and a monster-hater child, and can’t think of a better way to spend her evenings. Past credits include: Roderigo in Othello (GoPlayProducing), Kathy in The Nefarious Bed & Breakfast (Monkeyman Productions), Donna in A Midsummer Night’s Dream (Shakey-Shake and Friends), and Wendla in Spring Awakening (George Brown College). Look out for her next show, Of Shapes Tranformed by Love from Aim For The Tangent Theatre coming this May. Also, if you see a little girl in pigtails walking around the Imperial with a beer – it’s okay – she’s of age. Please don’t alarm the Mayor. Noted as “…a soprano to watch,” by Classical 96.3 FM’s Paula Citron, Alexandra LeBlanc (Susan/Micklethwatt) is making her mark on the Toronto opera scene. She holds a Bachelor of Music from Carleton University, Ottawa, and has just graduated from the Glenn Gould School in the Advanced Diploma Program. 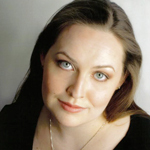 Recently Ms. LeBlanc “… created all-out excitement,” (Michael Johnson, ConcertoNet.com) in the role of ‘Donna Anna’ in the Glenn Gould production of Mozart’s Don Giovanni, in Koerner Hall. Just returned from a tour with the Saarburg International Music Festival in Germany, Alexandra was recently awarded 3rd prize in the prestigious Brian Law competition. She is enjoying a return to her acting roots, and would like to warn everyone to watch out for monsters as they exit the pub. 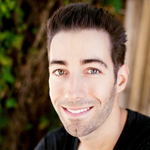 Rufio Parker Luey (Narrator/Reporter) is an up-and-coming actor/stunt performer from Toronto. With a number of independent films, hosting roles, theatrical productions, several web series, and a background in film studies under his belt, he is well versed in front of, and behind, the camera. Rufio also moonlights as a self-proclaimed closetmonsterologist, and has watched “They” upwards of three times. Born and raised in New Brunswick, Colin MacDonald (Cop #1/Citizen #1) has recently moved to Toronto to pursue a career in acting and music. 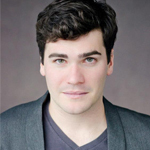 He has studied at the George Brown Theatre School and The Second City. He is dedicating his performance to all his family an friends back home who are still buried under 3 feet of snow…suckers. 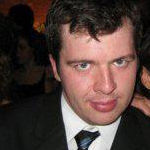 Tim Nussey (Cop #2) is a co-founder and company member of Monkeyman Productions. He received his training at The Ryerson Theatre School, where he met Marty Chodorek, and thus the path to monkey mayhem was paved. Tim is very proud of what Monkeyman has accomplished in its first five years, and is frakkin’ stoked to be participating in The Simian Showcase again. He would like to thank Monkeyman, as well as all of the awesomesauce actors and directors he has worked with for The Bride of Simian Showcase, and can’t wait for audiences to see what we have cooked up for them! David Straus (Craig) is very happy to be part of this spooky showcase. He has been in numerous Fringe productions, two of which (Superhero 1999, ac-TOR 2010) he wrote and produced. He continues to write and create projects for stage and screen, as well as role-play and be a corporate communications coach. Shawn Van Osch (Citizen #2) claims that at the age of six he created an extended version of the children’s taunt “First the worst, Second the best, Third the one with the hairy chest” by prefacing it with the verse “Zero the Hero”. This was done in an effort to prevent him from being teased by his siblings and cousins for being the first one in line for the school bus each morning. Kay Poiro (Playwright) is a Maryland-based playwright and screenwriter who’s chuffed to bits to finally be working with Monkeyman Productions. Kay loves telling stories ten minutes at a time. Her recent stage productions include “The Twilight Jones” (Los Angeles) and “Family Business” (Sydney). When she isn’t writing, she can be found reading and/or living vicariously through her Barbies and their newly-redecorated mid-century modern Dream House. A puppeteer/maker, dramaturge, and podcasting personality, Tom McGee (Director, Props/Gore, The Head) is really pleased to be back working with the fine folks at Monkeyman, having directed for two previous Simian Showcases (the time travelling/sandwich-based hijinks of Howard, and the existential crisis of a certain mustachioed plumber in Game Over: A Suicide Note.) Tom is the co-founder of both Shakey-Shake and Friends puppet theatre company and Theatre Brouhaha, serving as Artistic Director of the former and Artistic Producer/Dramaturge of the latter. They’re both pretty neat. He has acted in and written: A Midsummer Night’s Dream…A Puppet Epic!, The Tempest…A Puppet Epic!. and Romeo and Juliet…A Puppet Epic! and has been producer and dramaturge on LOVESEXMONEY, Help Yourself, ROCK, Delicacy, Sucker, We Are the Bomb, and the forthcoming Toronto Fringe show Punch Up for Theatre Brouhaha. You can catch Tom on his weekly podcast about film sequels ‘Please Sir, I Want Some More!’ (located on his nerd blog WhaHappen.ca and iTunes) and can see him again soon in Shakespeare in the Ruff’s upcoming original Shakespearean practices event Ruffing It (April 14) and at Spur-of-the-Moment Shakespeare Collective’s Shakesbeers on April 25 (where he will be performing as his puppet Shakey-Shake). Megan Miles (Dixie Rae) is thrilled to be working with Monkeyman for the very first time! 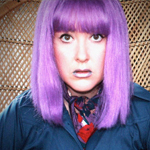 The co-founder of Shakey-Shake and Friends puppet theatre company, when she isn’t filling theatres with discount, re-animated extras, you can find Miles playing her alter-ego/puppet Zip in schools and FringeKids! Selected credits include: Puck in A Midsummer Night’s Dream…A Puppet Epic!, Ariel in The Tempest…A Puppet Epic!, and Mercutio in Romeo and Juliet…A Puppet Epic! (Shakey-Shake and Friends), and Iris in The Girl in the Goldfish Bowl (UC Follies). You can also catch Miles weekly on ‘Please Sir, I Want Some More!’ a podcast about film sequels, available on iTunes and at WhaHappen.ca. Her greatest ambition in life is to become Kate Mulgrew. 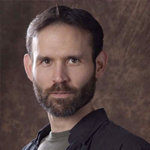 Tim Nussey (Scully) is a co-founder and company member of Monkeyman Productions. He received his training at The Ryerson Theatre School, where he met Marty Chodorek, and thus the path to monkey mayhem was paved. Tim is very proud of what Monkeyman has accomplished in its first five years, and is frakkin’ stoked to be participating in The Simian Showcase again. He would like to thank Monkeyman, as well as all of the awesomesauce actors and directors he has worked with for The Bride of Simian Showcase, and can’t wait for audiences to see what we have cooked up for them! Kyle Shields (Justin). Selected Credits: The Diary of Anne Frank (Lyndesfarne Young Company) The Rocky Horror Show (Port Dalhousie) Happy End, The Man of Mode, Little Women (George Brown Theatre School) The Unseen Hand, Sucker (Theatre Brouhaha) The Blue Balloon (InspiraTO) Upcoming: ‘911‘ by Jakob Ehman (HUMANZOO) at this summer’s Hamilton Fringe Festival, and a starring role in the web series ‘Other Men‘ stay tuned for details! 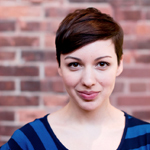 Annemieke Wade is the Company Manager at Tarragon Theatre and the Co-General Manager of Royal Porcupine Productions (RPP). 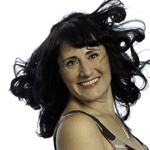 Before working with Tarragon, Annemieke was the Artistic Director of Toronto Youth Theatre. She continues to be quite active in the Ontario theatre scene, and she loves doing voice over work on the side. She holds a MBA from Champlain College, and an Honours BA from the University of Toronto/Sheridan College in Theatre & Drama Studies/Acting. This is the second time Annemieke has been involved with a Monkeyman production, you may remember her from the fantastically fabulous Phoenix II: the Mongolar Maneuvers. Much love to her handsome husband, Cam, and her fluffy cat, Nardwaur. Big thanks to the Monkeyman crew for letting her be a part of this super fun show. I hope you all enjoy! Debs & Errol (debsanderrol.com) are a Toronto-based musical comedy duo with a penchant for phở, cuddly tree spirits and starships. When they aren’t singing odes to Star Wars, BSG, or nerd love, they’re chronicling their life with a daily web comic. 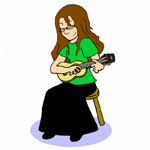 Kari Maaren (karimaaren.com) is a ukulele-playing, webcomic-creating, undergrad-torturing academic with a strange tendency to write songs about poltergeists when she should be marking. She is pretty sure she is one of only two Kari Maarens in the world, the other one being a Norwegian businesswoman who is probably tired of people asking her about her vampire song. The Canadian Kari plays her strange music at various Toronto events and has even put some of it on a solo CD called Beowulf Pulled My Arm Off, plus some more of it on a compilation CD (with the band Copy Red Leader) called Pirate Elves in Space. She is very proud of the fact that her albums have such peculiar titles. Esther Brown (Showcase Stage Manager) is thrilled to be returning to Monkeyman for this production of Bride of Simian Showcase! 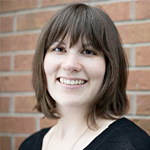 Esther is a graduate from the Theatre Arts – Technical Production program at Sheridan College, specializing in Stage Management, Lighting, and Sound. She has recently been seen shining a light on some performers in Once on This Island (Acting Up Stage), watching some pretty fights while making buckets of blood for Julius Caesar (Unit102 Acting Co.), and hiding behind mountains of paperwork as a Stage Manager for The Nefarious Bed & Breakfast (Monkeyman Productions), and Stalled (Toronto Fringe). She will soon be doing much more paperwork as a Stage Manager for a new show at the Toronto Fringe Festival 2014 with No Chance in Hell.